During the month of April is recognized ‘Sibling’s Day’ and in August is celebrated ‘Sister’s Day’. 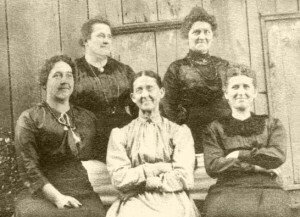 This month of March is recognized as ‘Women’s History Month’, in doing your family research, check out your female ancestors who were sisters. Some interesting aspects to check are the range of ages, that is noting their birth dates. Also when each married or if they didn’t and were spinsters – did some live together in the same house? How many children each had? If you have information say on your grandmother on your mother’s side, make sure to include about those great aunts — your grandmother’s sisters (if she had any). Do the same for a great grandmother. Remember to repeat for your father’s side of the family — his sisters, his mother’s sisters, etc. There could be some interesting information to be learned in just following about sisters in a family and what they did in their lives. Many times it might be two spinster sisters who operated their own business, such as a dress shop, to support themselves. On my mother’s side of the family, in Frederick, Maryland, were her great aunts [PHOTO – top of page] — the well-known Groff sisters. One of the seven Groff sisters was my great grandmother, Josephine Groff Everhart. Her sisters were: Susan, Jennie, Mary, Ida, Nannie and Fannie. These girls also had three brothers. Each in this small town set their own path and yet were always close. When you check the US Federal Census records, which is a good starting point, make note of ages. It appears to have been quite common in the late 1800s and into the 20th century, to lessen a lady’s age by 5 to 10 years at a time. Remember finding the female ancestor as a child in a census or on a family Bible record or birth certificate is the best to getting a more accurate birth year. In noting the children each sister had, I found a repeat of female given names, those of a mother or other sisters for naming a baby. 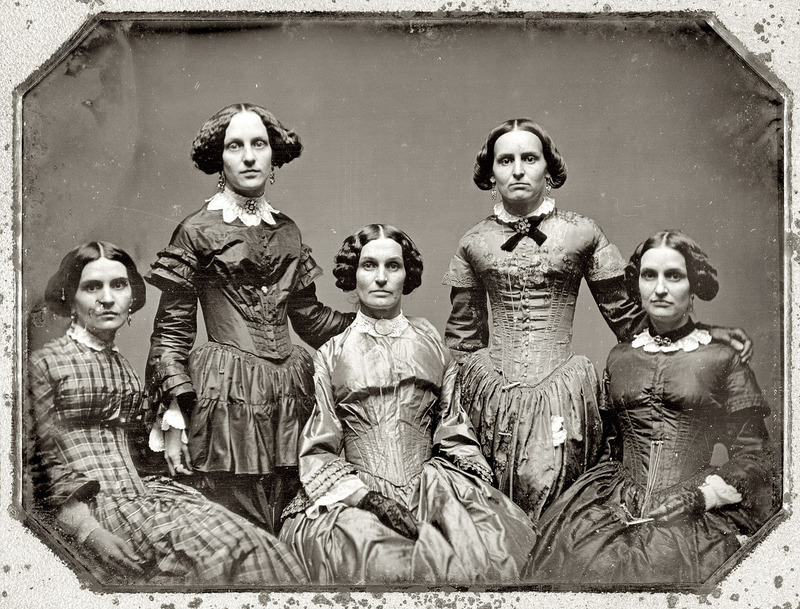 Of the seven Groff sisters; two died young, four married and one remained a spinster. Nannie, the one who never married was the one to inherited the family home in Frederick and lived there all her life. Taking it back another generation, the mother of the seven sisters, was one of four sisters and three half-sisters in her family. 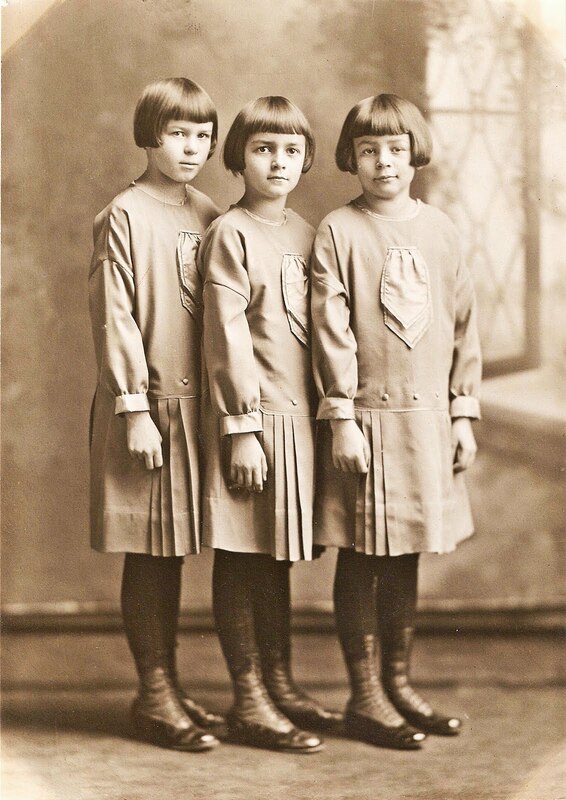 So following and tracing just the female ancestors, especially those who were sisters can be quite fascinating — A Real Sisterhood. That is a good project during March’s Women’s History month. 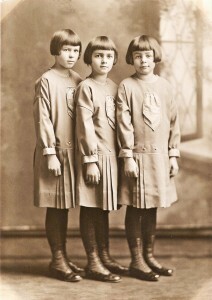 Photos: Groff Sisters in 1918, Sisters Ad, Sisters Three, and Five Johnston Sisters in 1860s.